DETROIT — General Motors announced today that it delivered 665,840 vehicles in the first quarter of 2019, with a selling mix of trucks, SUVs and crossovers above 80 percent. GM’s focus on these vibrant segments helped it earn the highest average transaction prices for any first quarter in the company’s history. General Motors Co. is a global company committed to delivering safer, better and more sustainable ways for people to get around. 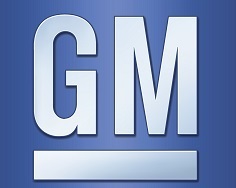 General Motors, its subsidiaries and its joint venture entities sell vehicles under the Chevrolet, Buick, GMC, Cadillac, Holden, Baojun, Wuling and Jiefang brands. More information on the company and its subsidiaries, including OnStar, a global leader in vehicle safety and security services, and Maven, its personal mobility brand, can be found at http://www.gm.com.